The innovative Intuos4 XL Pen Tablet comes in a new compelling ergonomic design and marks a new level of performance and features. 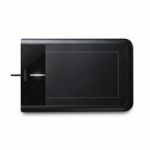 It′s size is ideal for optimising use of the entire working area in widescreen and dual-monitor environments. 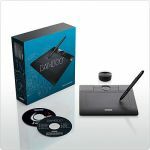 It′s also ideal for HDTV video editing. 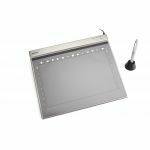 Designed for high-end workstation use, the Intuos4 XL represents the ultimate in a large high-performance graphics tablet. 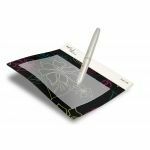 The ergonomic cushioned Grip Pen, in combination with the freely programmable ExpressKeys and Touch Ring, optimises workflow, efficiency and productivity in creative applications. 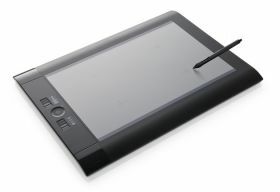 The special CAD configuration contains the Intuos4 Lens Cursor instead of the Intuos4 Pen.